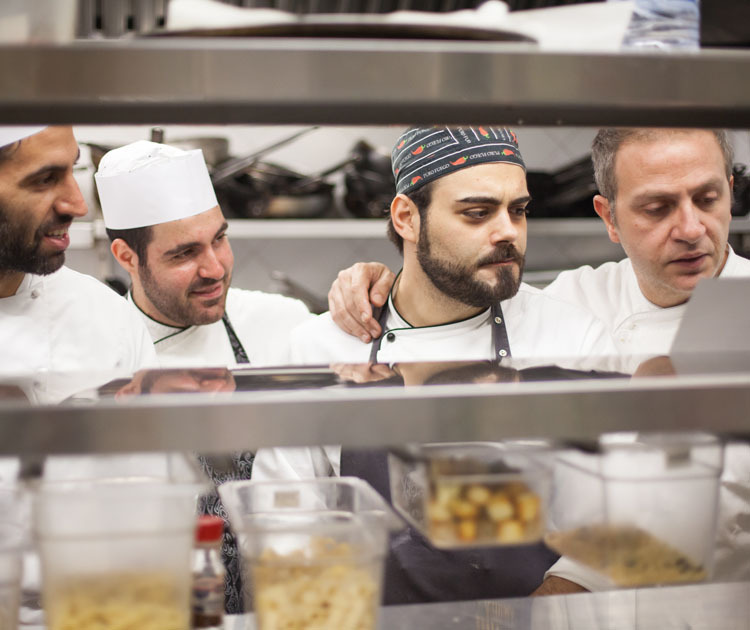 Salvatore Gambuzza has been enthusiastic about cooking since he was a child. His desire to learn and his curiosity often led him to roam around the local colourful fruit and vegetable markets: the colours and scents stimulated his imagination and creativity, leading him to create his outstanding first courses. He progressed along the path to becoming a chef through study and training; his continuous search for excellent products led him to travel widely. His culinary baggage includes bottarga and visits to the mills where the precious salt from Trapani is refined, the influences of German, French and Northern Italian dishes on Swiss cuisine, the colours and flavours of the land of the painter Ligabue, and the high quality rice from the area around Lake Maggiore. 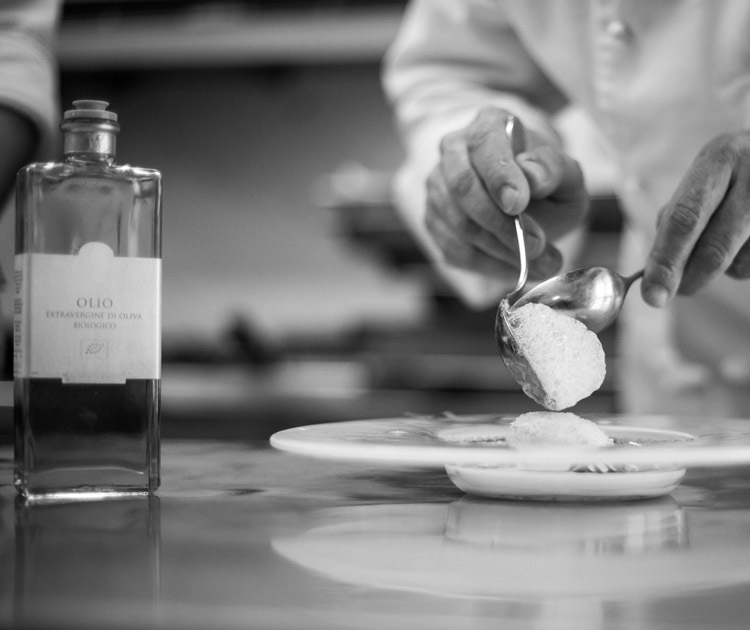 Together with the passion and care he puts into the choice of ingredients, which are always of the highest quality, his continuous exploration has allowed him to reinvent and cook bold new dishes while drawing on his childhood memories. His career as a chef has been enriched with numerous prestigious awards in various disciplines, from vegetable carving to artistic cuisine. The more he continues experimenting with new, locally grown products, the more his inspiration and dexterity increase, reaching sublime heights. He regards the five years he spent in one of Sicily's most fertile environments, the microclimate surrounding Mount Etna, as one of his most important experiences. There he discovered a multitude of products of the highest quality. These improved those dishes he remembered from his childhood, stimulating the creation of new dishes, among which is his renowned tomato broth. For several years, he has been President of the Chefs Society at the provincial and regional level. A disciple of Auguste Escoffier, he has been awarded the Cordon d'Or in Monte Carlo and has even set the record for the longest torrone (a nougat confection), achieving the Guinness world record in 2011.